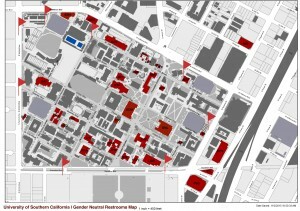 A google map of student accessible gender neutral restrooms (GNR) at the USC University Park Campus (UPC) is available. **Please note, the map says that the GNR in TCC is on the third floor. This is incorrect. The GNR is on the SECOND floor by the service elevator. 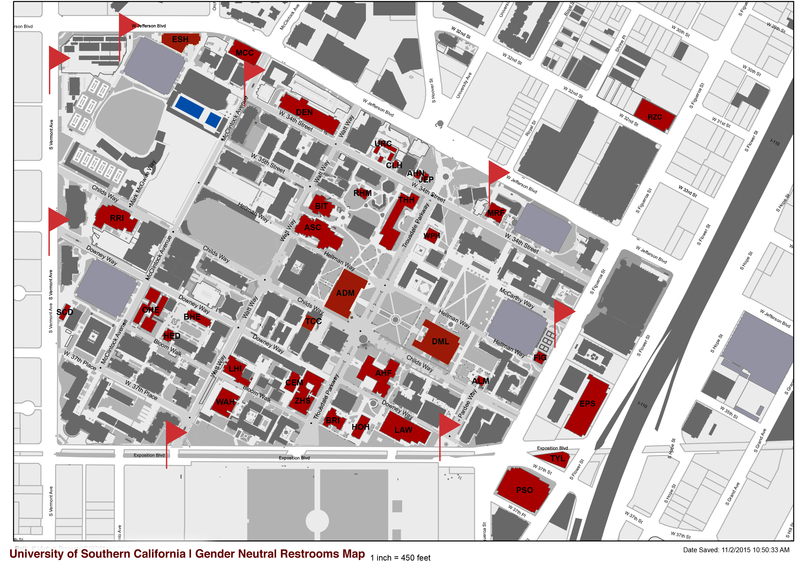 A complete and descriptive list of student accessible restrooms at the USC UPC, which includes specifics like multiple stalls, single stalls and gender neutral restrooms for USC UPC buildings is also available. The Lyon Recreation Center also has a women and men large single stall changing room with a personal sink and mirror on second floor.